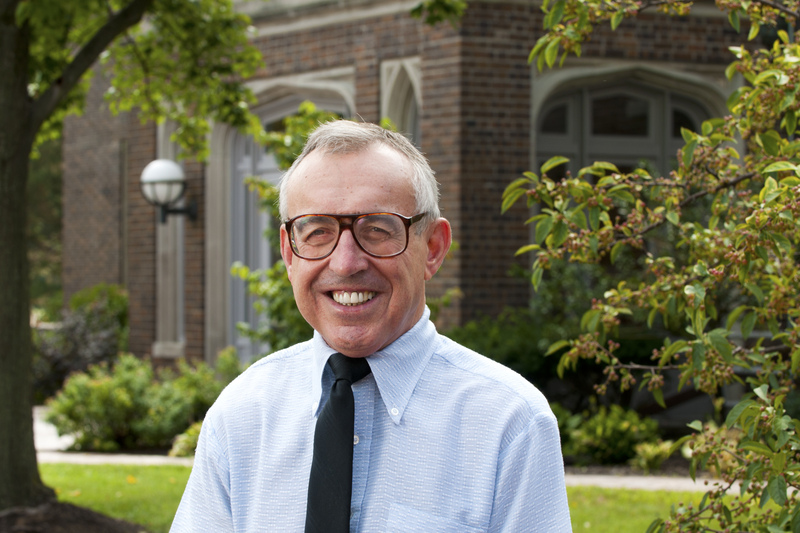 Retiring accounting professor looks back fondly on 44 years of service. We recently sat down with LaVern “Howie” Krueger — Dr. K, as his students affectionately call him — to reminisce about his years at UMKC. Krueger, who joined UMKC in 1970 as an assistant professor, has seen the Bloch School thrive. During his tenure, he’s served as interim chair of the accounting department; been a faculty adviser of Beta Alpha Psi, the university’s premier professional accounting fraternity; and prepared hundreds of students for the certified public accountant licensure exam. Krueger bids farewell to the Bloch School in 2015. Teng-Kee Tan, Ph.D, passed away in the presence of his family at his home in Kingston, Washington. Tan served as Dean of the Henry W. Bloch School of Management from 2009 to 2013. During his tenure, he focused on growth in faculty, secured a new building through private funding and invigorated the school’s brand in the community, region and nation. Tan had numerous successes while serving at Bloch. He served as a catalyst for the success of the school’s new strategic plan and rebranding as the Henry W. Bloch School of Management. This was the outcome of Tan’s twin pillars philosophy, an approach that successfully linked its for-profit and not-for-profit sectors. While serving as dean, Tan was instrumental in helping to obtain the largest gift in UMKC history – $32 million from the school’s namesake, Henry W. Bloch, to build the Henry W. Bloch Executive Hall for Entrepreneurship and Innovation. Under his leadership, with assistance from a strong and dedicated team of associates, he built and expanded Bloch’s faculty. He championed recruiting faculty with strong teaching, research, and community partnership skills. He also empowered faculty to use entrepreneurial spirit to grow their programs to meet business needs in the community, region and nation. Tan earned a Bachelor of Commerce at Nanyang University, an M.B.A. at the Kellogg School of Management, Northwestern University in 1988, and his Ph.D. at the Judge Institute of Management at the University of Cambridge in 2005. 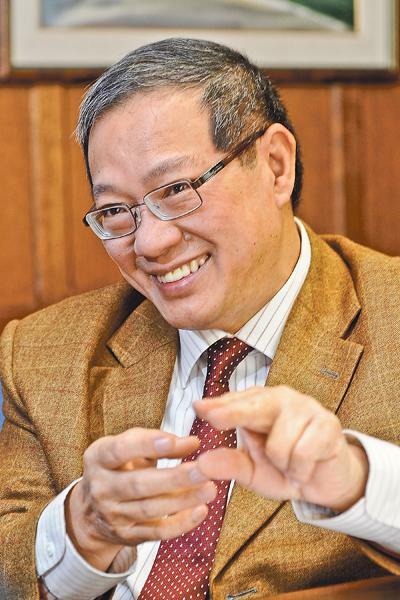 Before becoming Dean at the Bloch School, Tan served as the Director of the Nanyang Technopreneurship Center at the Nanyang Technological University (NTU), in the Republic of Singapore. In addition to his academic achievements, Tan spent 18 years at multi-national corporations in Asia and North America in senior corporate positions, including leadership roles at Electrolux AB, Sweden, and Sunbeam Corporation (USA). Prior to his university career, Tan was an entrepreneur for nine years, traveling and conducting businesses in Asia, Australia, Europe, South America, Canada and the USA. Tan was born in Malaysia. He leaves behind his wife, Hai-Mee, and two adult children, Yung-Hern Tan and Sue Tan Toyofuku. A simple funeral service will be held at the Stone Chapel in Poulsbo, Washington on Thursday afternoon May 14. In lieu of flowers, friends can send a donation in memory of Dr. Teng-Kee Tan to the Pancreatic Cancer Action Network or the Seattle Cancer Care Alliance. Gov. Jay Nixon announced today that he is releasing $7.4 million to allow construction of the new Robert W. Plaster Free Enterprise Center at the University of Missouri-Kansas City. The state funds represent the public half of funding for the $14.8 million building, funded under a 50-50 matching program for public-private partnerships to fund capital projects at public colleges and universities in Missouri. Multi-million dollar grants from the Robert W. Plaster Foundation of Lebanon, Mo., and the Ewing Marion Kauffman Foundation are providing the private half of the match. JPMorgan Chase & Co. announced last year that it would donate a $50,000 grant for tech equipment for the center, including 3D printers to help it develop new products. The Free Enterprise Center, a prototyping and product development hub, will be available to entrepreneurs, local industry, and high school and college students as they pursue entrepreneurial ventures. The Free Enterprise Center will be housed in a new building to be constructed at the site of a vacant structure at 215 Volker Boulevard. The multi-disciplinary center will serve the School of Computing and Engineering and the Henry W. Bloch School of Management, UMKC’s fastest-growing academic units, and provide a platform for invention, research and education for entrepreneurs, educators, researchers, industry and students. 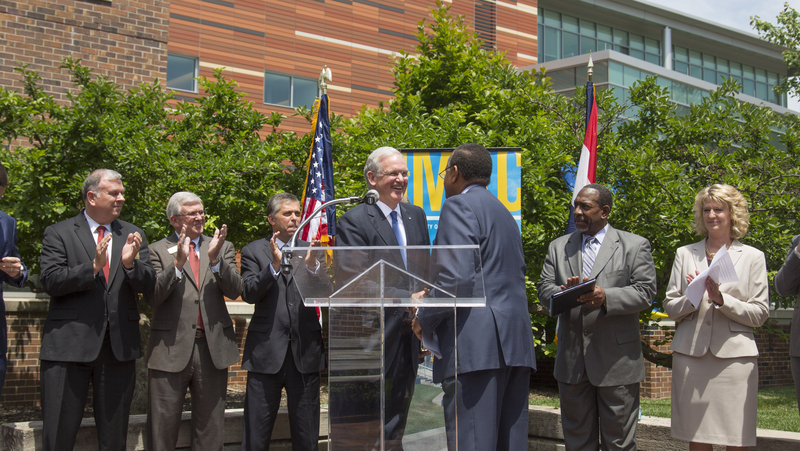 “The Free Enterprise Center at UMKC will provide greater opportunities for creativity and collaboration among students, faculty and businesses, and strengthen the Kansas City region’s position as a hub for innovation and entrepreneurship,” Nixon said. The Free Enterprise Center will include laboratory space, rapid prototyping equipment and educational/collaborative space. The center also will support business and technology transfer advisors to serve students, faculty and researchers from both schools, as well as local industries, entrepreneurs, artists and K-12 students. The KC STEM (Science, Technology, Engineering and Mathematics) Alliance within the School of Computing and Engineering is reaching more than 13,000 middle and high school students in the Kansas City region. This center would provide the KC STEM Alliance space to work with high school students on projects that involve robotics, manufacturing, material science and engineering design. UMKC Enactus students, who compete in entrepreneurial challenges, will work with these students on the entrepreneurial and business aspects of technology and manufactured products and projects. The facility also will be used as a laboratory, incubator and prototyping center for all students within the School of Computing and Engineering and all entrepreneurship students within the Bloch School of Management. 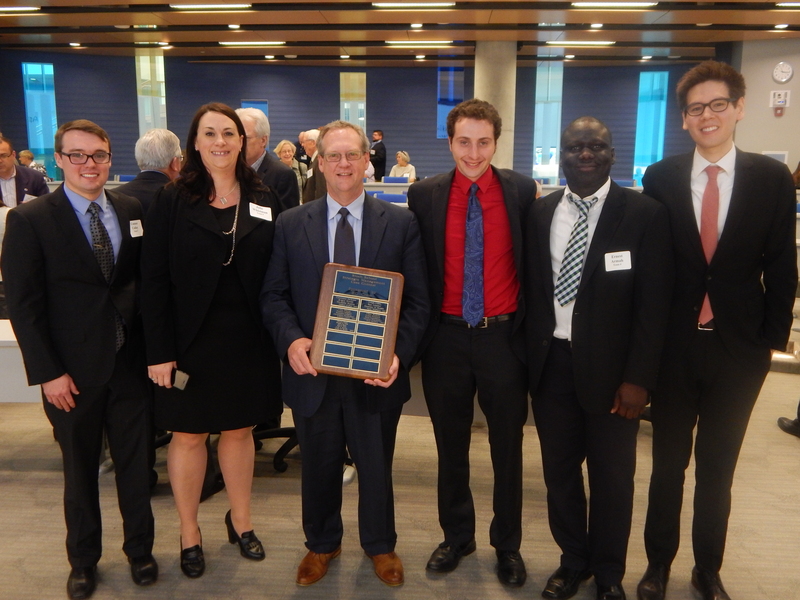 The 2015 Regnier Venture Creation Challenge finalists and winners celebrate with event benefactor Bob Regnier. 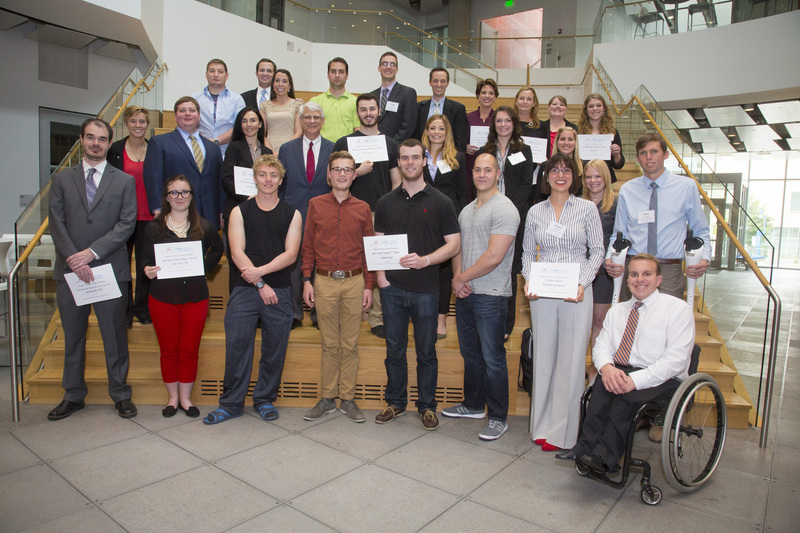 Sixteen of more than 50 teams advanced to the semifinal round of the 2015 Regnier Venture Creation Challenge on May 9. Each semifinalist group received a $1,000 team prize. Students presented new concepts to local investors, business leaders and entrepreneurs, while competing for up to $55,000 in total awards and seed funding. After hearing from each semifinalist group, judges selected four teams to compete for the top prize. 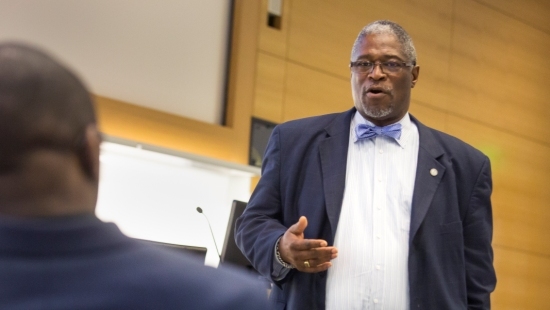 Kansas City Mayor Sly James visited with students at the University of Missouri-Kansas City’s Henry W. Bloch School of Management, bringing a message of inspiration and support for their future in the city they share. For more than an hour, the mayor talked with students, taking questions, offering advice and talking up the advantages they would have carving out lives and careers in the city where they are receiving their college education. The 2015 Regnier Venture Creation Challenge began on Friday, May 1. Each spring, the Regnier Institute for Entrepreneurship and Innovation holds a business plan competition in which students can present new concepts to local investors, business leaders and entrepreneurs. Each competing team is also eligible for $55,000 in total awards and seed funding. Students presented their cases April 24 for the sixth annual Strategic Management Case Competition. This year’s live case subject was Freightquote, a Kansas City area online freight shipping provider.